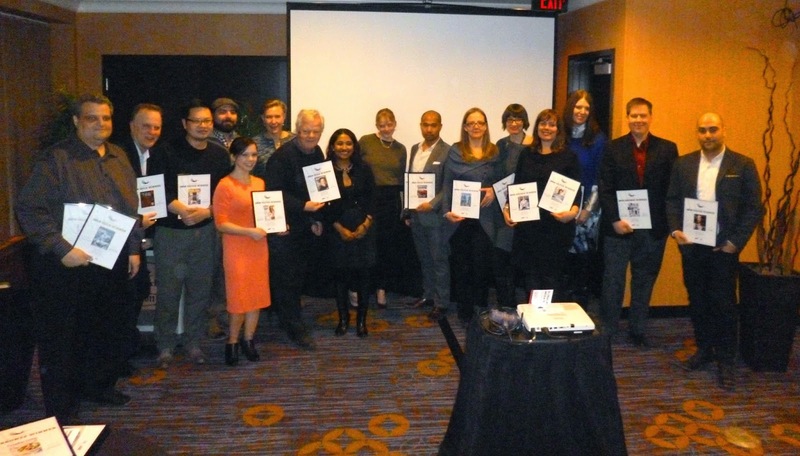 The winners were announced last night at the Canadian Cover Awards in Toronto, presented by the Circulation Management Association of Canada (CMC) and Magazines Canada. The awards recognize sales success and presentation in eight categories, with sales accounting for 50% of the score.The other 50% is determined by a panel including a retailer, a wholesaler, a national distributor, a circulation director and an art director. 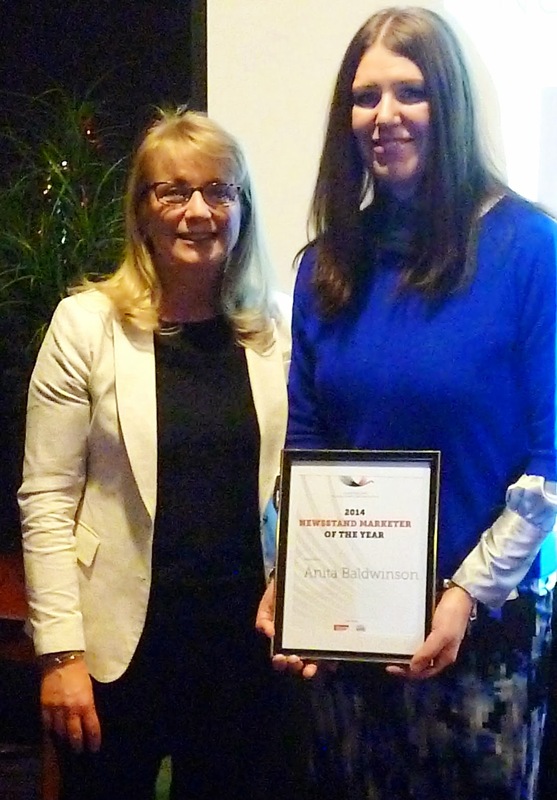 The Newsstand Marketer of the Year award was presented to Anita Baldwinson, Manager of Retail Services & Marketing at TNG. Reception sponsor and Newsstand Marketer of the Year presenting sponsor, the Alliance for Audited Media. "Some of our private digital companies and news agencies, whether it’s the Tyee or iPolitics or National Newswatch, may grow up into important services and become surrogates for newspapers and broadcasters, or they may not. It’s a very competitive market for advertising out there. And scale matters hugely. I’m not sure that five, ten years out any of the Canadian companies will generate enough scale in advertising to compete with the global companies. So, we may end up with a branch plant media and a range of local services lacking the scale to have real impact. "I think in those circumstances it might be very important to have an institution like the CBC that is particularly concerned about Canada and Canada’s national interest. Not as the lone voice, the sole voice, of a Canadian perspective but as a robust presence for Canada on the media scene. So rather than dismantling it or letting it die a slow death, I think we should be reconsidering the CBC’s mandate and preparing it as a service for a more globally competitive media environment five, ten years out." A new, digital travel publication La Carte has been launched in Toronto. It consists of a weekly e-newsletter, a quarterly digital magazine and ongoing social media content. The publication is led by editor and writer Maryam Siddiqui. After a "soft launch" last month, the new publication has already had about 6,000 page views and 2,500 unique visitors. Its tagline is Travel Smarter, Travel Better. The target audience is said to be upscale and digitally savvy 25 to 50 year olds who draw a distinction between a vacation and travelling. "As an avid adventurer, I set out to write the travel magazine that I wish existed, and I found out I was in very good company," says Siddiqi. "La Carte fills an unique gap in travel content that is smart, discerning and relevant — and of course, fun." Siddiqui's experience with travel was best demonstrated by her 193-day, round-the-world trek (21 countries) that she chronicled in 2013 for the National Post. Among the contributors to the new digi-mag are Karen Cleveland, former senior manager, marketing and communications at St. Joseph Media, Barry Hertz, the executive producer for features at the National Post and art director Geneviève Biloski, also at the National Post. I feel uncomfortable when confronted with the RBC Emerging Artists Project which is running a poll to decide which of six arts organizations will get an additional $25,000 donation from the bank's foundation (they each all already receive some RBC funding). My bias is to select Canadian Art Foundation which publishes Canadian Art magazine (and I probably will), but why should I have to choose between Canadian Art and the Writer's Trust of Canada or Canadian Stage or TIFF? What exactly is RBC trying to find out through this arbitrary ballot? Alberta Oil magazine says that a national survey conducted in late December with Leger, the Research Intelligence Group, shows that Canadians are both largely uninformed about the energy industry and unlikely to trust the federal government and oil companies when it comes to finding out about it. When asked who they trust on key issues related to energy literacy, Canadians consistently ranked oil and gas industry groups, oil and gas companies and the federal government near the bottom of the list. On carbon emissions, for example, only 10.2 per cent of Canadians said they trust oil and gas companies. Independent organizations and NGOs, on the other hand, were trusted by 40.1 per cent, with the academic community scoring the highest at 53 per cent. The survey also revealed that Canadians remain, by and large, uninformed about many key issues related to energy production and distribution. They did not know, for example, that BC is not the only province with a carbon tax or levy (Alberta has one as well), or that they’re directly invested in the energy sector through the Canada Pension Plan. Their lack of knowledge about energy issues isn’t a mystery to them, mind you – only 31 per cent of Canadians said that they felt well informed about issues related to energy production and consumption. Other interesting results include the deep vein of opposition to the energy sector in Quebec, which suggests that the forthcoming conversation about the proposed Energy East pipeline will be just as rancorous as the ones in British Columbia have been, and the relatively strong support for a meaningful price on carbon. Indeed, there’s more support in Alberta for such a policy than there is in B.C. If there’s a silver lining in the results for the energy sector, it’s that the majority of Canadians have not yet made up their mind on issues like hydraulic fracturing and pipeline projects – and are therefore open to being brought around to their perspective. But they have their work cut out for them, as this survey shows. The magazine provides an online energy literacy test so readers can assess how well they understand the sector. Canada's History magazine is undergoing a refreshment of its design which will be unveiled with its April-May issue, now at the printers. The magazine will be marking its 95th birthday this year. While the redesign pretty much leaves the cover architecture and logo alone (so as not to jeopardize the gains the magazine has made on the newsstand), the inside pages and the front and back of the book have been substantially modified by the editorial team, looking to reflect the contemporary relevance of history. "Both the front and back of book sections have been streamlined. The Currents section is now more visually dynamic, and some regularly recurring items — such as "Brush Strokes" — have been re-imagined for a modern audience. Our former Reviews Section is now titled Books, and will feature not only book reviews but also interviews with authors, book excerpts and other items of interest to readers. "The features section also received a makeover, and now employs a tasteful design that showcases — rather than competes with — the words, pictures and paintings. Layouts are cleaner thanks to the creative use of white space. "As many readers know, Canada's History used to be called The Beaver, and we have not forgotten our historic connection to that iconic publication, or the Hudson's Bay Company, which launched the magazine in 1920 as an internal newsletter. In Canada's History you will find many nods to our past; we’ve retained our Trading Post column that showcases fur trade-era artifacts; every feature article ends with a small beaver icon; and we’ve renamed the Letters page “The Packet,” as it was called back in 1920 when the magazine was launched. 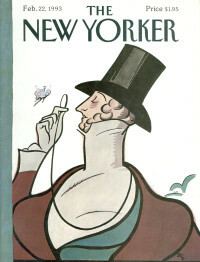 To mark its 90th anniversary, The New Yorker commissioned nine different covers that key off the iconic, monocled and top-hatted figure of Eustace Tilley which appeared in the very first issue of February 1925 (the one above was reprinted in 1995), drawn by art editor Rea Irvin. 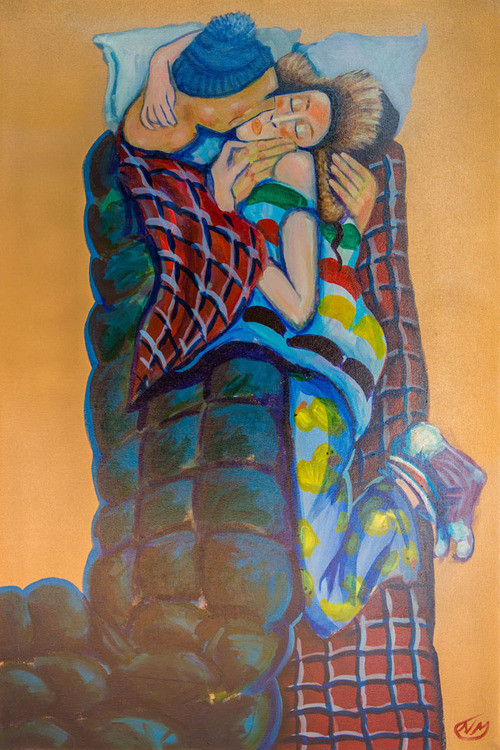 Among the contributors to the Feb. 23-March 2 2015 issue is Toronto-based artist Anita Kunz. The finalists have been announced for the Canadian Cover Awards, presented by Magazines Canada and the Circulation Management Association of Canada. The winners in each category will be announced February 24 at a 6 p.m.reception in Toronto at the Courtyard Toronto Downtown. The prestigious Newsstand Marketer of the Year award will also be announced then. There's still time -- only a very little time -- to make an entry in the Kenneth R. Wilson awards (usually called the KRWs) for excellence in business-to-business and trade publishing. Entries close at 5 p.m. today. The Alberta Magazine Awards give out two kinds of awards: their showcase awards across a number of categories (see earlier post); and the Achievement Awards, recognizing the accomplishments, innovation and creativity of individuals and publications in the province's magazine industry. The Achievement Awards are announced in advance of the gala which takes place March 5 in Calgary, plus the final shortlist of 3 is announced for Magazine of the Year.) The gala is part of the two day 19th annual Alberta Magazine Conference at the Carriage House Inn in Calgary March 5 and 6. The Alliance for Audited Media (AAM) reports circulation data for Canadian consumer magazines showing paid and verified circulation down 4.8% for the six months ended June 2014. Paid subs were down 10.1% and single copy sales increased 3%. Digital replica editions comprised 255,764 or 3% of the total paid, verified and analyzed non-paid circulation, nearly three times what it was in the same period a year ago. The circ data shows the top 25 Canadian consumer magazines, led by Chatelaine. The biggest increase in total paid and verified total circulation was Sportsnet magazine, up 27.5%; the biggest drop was Reader's Digest Canadian English edition, down 28.6%. Scribd, the e-book subscription service, has partnered with the publishers of more than 10,000 comic books and graphic novels, according to a story on The Verge. Subscribers to the $8.99 per month service will now be able to read classic runs of comics like The Avengers and X-Men. The companies with whom Scribd has partnered include heavyweights like Marvel, Archie, IDW and Arcana. Users will be able to search by title, publisher, and character, and Scribd's author profile pages will live alongside character profile pages that contain trivia about comic book heroes like Spider-Man and G.I. Joe. The app will also feature a "binge button" at the end of each comic book, which will allow users to jump immediately to the next title in a series. Marvel VP Daniele Campbell said that with the partnership, they hope to reach readers "who wouldn't normally find themselves inside a comic shop." The selection is made based on nominations from the community and the judging committee and the standard is simple: recognizing innovation and creativity through contributions to the Canadian magazine industry. The deadline for nomination is March 1. The very first person named, in 1989, was Prue Hemelrijk, a superlative copy editor and fact-checker. Selecting her was done strictly on its merits, but was intended also as a signal that this award doesn't necessarily go only to editors and publishers (though it certainly can and has gone to fine examples of each.) It also recognizes other important roles and contributions including circulation experts, teachers, marketing, sales and promotion professionals, production managers - in short, every outstanding contributor in the industry. Recent winners include Kim Jernigan, Stephen Trumper, Heather Robertson, D.B. Scott, Terry Sellwood, Cynthia Brouse, Charles Oberdorf, Neville Gilfoy,John Macfarlane and Paul Jones. Magazines Canada has published a new set of standard metrics to provide advertisers, agencies and publishers with a consistent measure of engagement and readership in digital magazine editions. The guidelines outline a set of standard measurements in five categories of audience data. total accumulated time spent per reader per issue. These would be measured over a period of 30 to 90 days (depending on the frequency of the title.) The information would be reported as a 6-issue rolling average on a 14-week release. Provision is made for special interest publications (SIPs) to offer a 120-day metric. "This is an important first step in marketing our magazine media brands on multiple platforms," said Mark Jamison, CEO Magazines Canada. "By working together and with our partners in measurement organizations, Canada's magazine media will provide a better understanding of the remarkable connectivity audiences have with our brands on every device." Does your man need a makeover? Has he had the same hair, glasses and sweats since 1998? Send us your plea with a photo of him to sherry@frogmediainc.ca BEFORE Feb 20th and we might pick him for the MANOVER in the June issue!!! Magazines Canada is offering a free webinar on February 26 called Making the Most of Advertising on Tablet Editions. The expert presenters are Jessica Ross, tablet publishing manager of TC Media and Sylvain Coutu, director of operations at TVA. Moderator is Sharon McAuley, publisher, marketer and business consultant. Learn how Canadian publishers are making the most of their digital editions. Registration is online; capacity is limited. 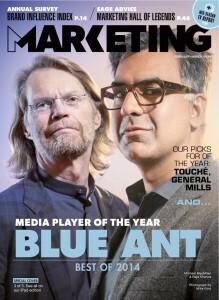 For the second time in the four-year history of the Marketing magazine awards, Blue Ant Media has been named Media Player of the Year, this time for 2014. The February/March issue is on newsstands now. The company casts its net wide into, among other things, music (a partnership with the Polaris prize) and digital content production and broadcasting, with the recent purchase of a majority stake in New Zealand broadcaster Choice TV. The exemplar for Blue Ant's multimedia strategy is Cottage Life, which co-CEO Raja Khanna says provides advertisers with the opportunity to surround a coveted high-income group, from a print magazine and a dedicated specialty TV channel, to YouTube and Facebook and its consumer shows. 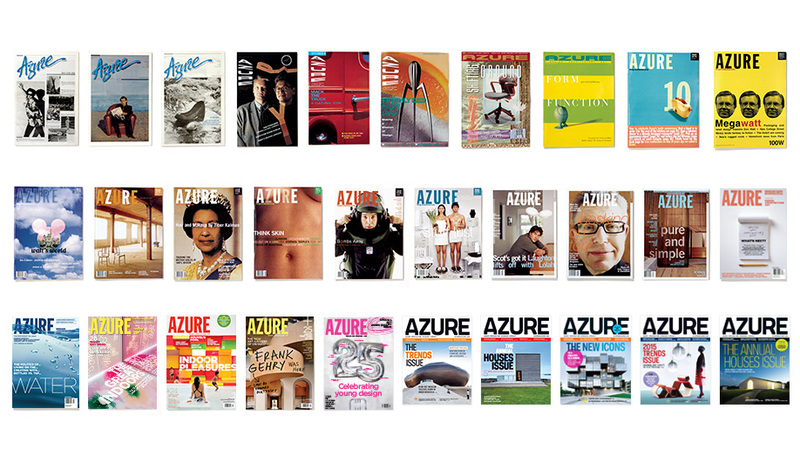 "As the city evolved, so did Azure, joining the ranks of a handful of significant design magazines worldwide," it says on its website. "As our coverage expanded to become more international, we continued to capture the major shifts in Canada, placing them within the context of a world increasingly aware of the power of great design and architecture." The "Ellie" trophy: a "stabile"
The [US] National Magazine Awards were announced last night in New York and magazine of the year was Vogue. 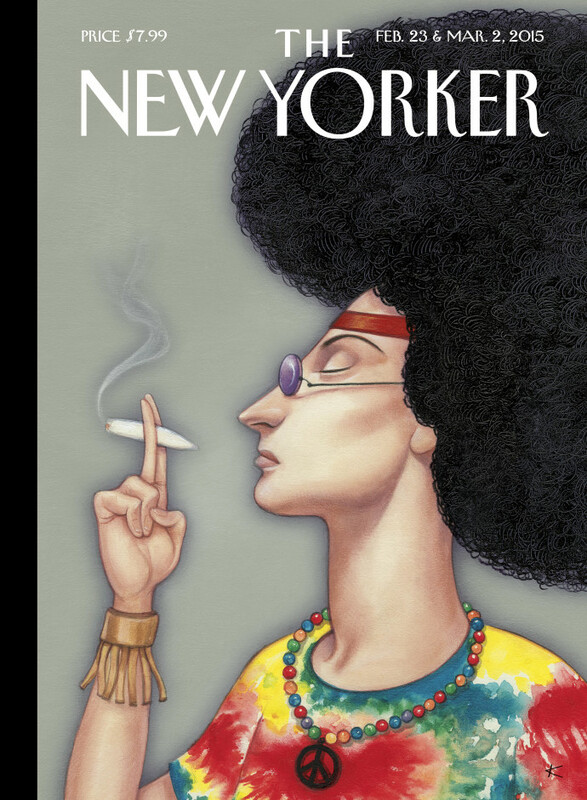 New York magazine and The New Yorker each won three awards. 18 publications won awards in 24 categories, including first-time winners: The Atavist, The Hollywood Reporter, Pacific Standard and Nautilus. Best tablet magazine was National Geographic. It was nice to see one of The New Yorker's awards went to 90-ish Roger Angell for “This Old Man,” in the February 17 and 24, 2014 issue of the magazine. Now, she's moving to be the new art director of the high society and fashion magazine Tatler, published by Condé Nast Publications (see below). She reports that one of the biggest pleasures at the ST was doing a series of front-of-the-book columns with Matt Rudd called the "God of Small Things". There's an archive of them on her website. "To date in the North you need patience, a thick skin and, for heaven’s sake, a sense of humour. Remember, we’re all a bunch of parka-clad weirdoes looking for the same thing." It's a matter, she says, of learning to live in a place with only two coffee shops and running into exes (defined, apparently, as someone you've dated at least once) in bars and most likely hooking up with someone who is only passing through. With all the mine workers, geologists, dentists, anthropologists, prospectors, journalists, doctors, explorers and countless other varieties of passers-through who touch down in the North for as short as a week or as long as three years (at which point they either leave or graduate to Northerner status), it’s a strong possibility that at some point, you’re going to go for someone who is on their way out. After each goodbye, I ask myself why I ever ventured to start any kind of romance with an interloper. "Newcomers will say things like “You seem like a great catch, especially for up here.” You’ll cringe, but deep down you will know what they mean. Still, they’ll have lost any chance they had… at least until the winter."